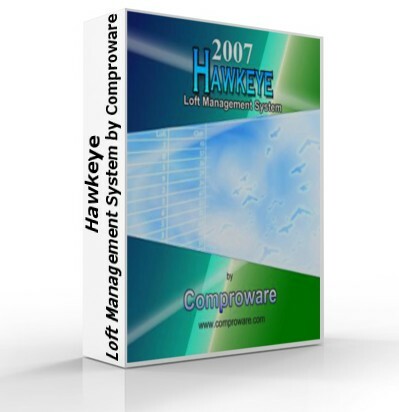 Hawkeye Loft Management System for FREE! Great News! You can now get the Hawkeye Lite version for free - If you need only the basic functions, the Lite version is for you. Just visit our web site http://www.comproware.com and register the free lite version. You will be able to use it indefinitely, however, you need to log in first - If you do not have an account, registration is free. After login, just click on "FREE LITE KEY"
Once you registered the Free version and require more advanced features, you will be able to purchase the Professional License for only $30. You must register for the free lite version first, then purchase an upgrade to the professional version for $30. pigeon flyers who register and purchase the Hawkeye professional version a free upgrade to Hawkeye v8, a v-e-e-e-ry nice new version.